We've got some sad news to report for big fans of the horror genre. 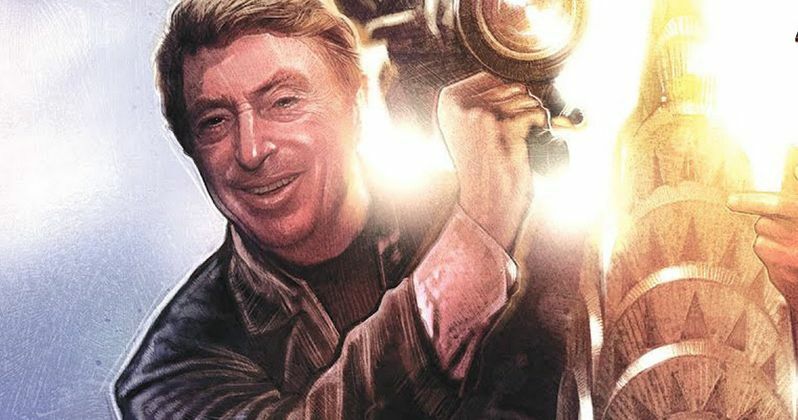 Pioneer filmmaker Larry Cohen has passed away. Circumstances surrounding Cohen's passing are not yet clear, but the filmmaker reportedly died today at the age of 77. The veteran director and screenwriter had contributed to dozens of genre movies since the start of his career, and had built a passionate fan following in the decades since. Needless to say, the community is already in mourning, with many fans and colleagues taking to social media to express their sorrow over the loss. Cohen's career in the entertainment industry dates all the way back to the 1950's, starting with work on television scripts. He had spent a lot of time in his early career writing for crime and detective shows, such as The Defenders and The Fugitive. By the '70s, Cohen opted to step behind the camera as well, becoming a director and producer in addition to writing screenplays. His directorial debut starred Yaphet Kotto in the comedy movie Bone, and noticing he had a knack for filmmaking, Cohen kept himself very busy as a writer, director, and producer in the following years. One of Cohen's most well-known and appreciated works is as the writer and director of The Stuff. The satirical horror movie from 1985 tells the story of a yogurt-like substance found bubbling out of the ground, which is then extracted and sold to consumers as a sweet treat. Only when it becomes more popular than ice cream do people realize that "The Stuff" is actually a parasitic alien species, keen on devouring the humans who eat them from the inside out. Grotesque yet amusing, The Stuff is undoubtedly a very memorable and classic horror movie for anyone who's seen it. Some of Cohen's other most notable roles as a director include Hell Up in Harlem, Q: The Winged Serpent, A Return to Salem's Lot, It's Alive, and It's Alive III: Island of the Alive. By the '90s, Cohen had started to focus more on screenwriting and less on directing, only helming three movies during that decade. His last time in the director's chair came in 2006 when he directed the "Pick Me Up" episode of the Showtime horror anthology series Masters of Horror. The episode featured Fairuza Balk, Michael Moriarty, and Warren Kole in a story about an apparent turf war between two serial killers. Additionally, Cohen continued to get screenwriting work as well, working on screenplays for Phone Booth, Cellular, Captivity, and the It's Alive reboot. His final screenwriting credit was for 2009's The Gambler, the Girl, and the Gunslinger. Cohen leaves behind an incredible legacy with such a large and impressive body of work. His contributions to film will forever preserve his accomplishments, and there's no doubt Cohen will be remembered by his fans for many years to come. He will be badly missed, and we offer condolences to Cohen's family, friends, and fellow fans. May the legendary filmmaker rest in peace. This information comes to us from Variety.